Set your calendar reminders, Early Bird Patron Passes for the 2019 Telluride Jazz Festival will go on sale Wednesday, December 12, 2018 at 10:00 am (MT) and are available in limited quantities! With a $200 savings on the regular-priced Patron Experience Pass, Early Bird Passes offer the highest value of all festival passes and are only available in extremely limited quantities. 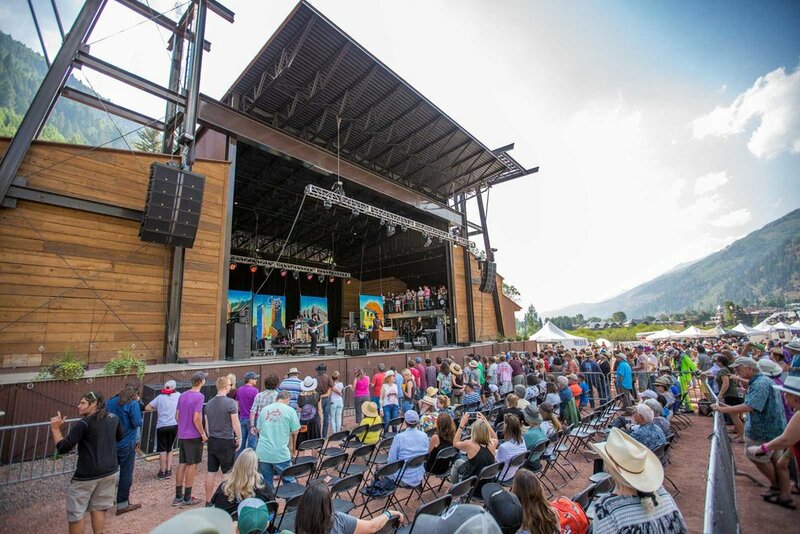 In addition, a portion of the ticket cost, $200, benefits the Telluride Society for Jazz and can be deducted on income taxes as a charitable contribution. The Patron Experience bundles top-of-the-line amenities offering an elevated festival experience that's unmatched. Featuring an exclusive On-Stage Viewing Platform, Backstage Catered Meals, a Private Opening Concert, an enhanced Welcome Reception, Complimentary Bars, an Exclusive Lounge, Priority Festival Entry, Private Upscale Restrooms and more, the Patron Experience puts luxury first. The Welcome Reception is getting a upgrade! Telluride Jazz Festival has teamed up with One-To-One Mentoring to enhance the Welcome Reception by replacing the traditional kickoff event with exclusive access to the renowned “Taste of Telluride and Top Chef Competition” at the Peaks Resort in Mountain Village on Thursday, August 8, at 5 pm. Patron pass-holders will be greeted to a culinary tour of Telluride featuring creative cuisine, libations and live music from festival artists. Throughout the evening, pass-holders will sample delights from a variety of restaurants and have a chance to interact with the premiere chefs in the Telluride area. The Top Chef Competition will highlight the reception as local chefs compete in a heated culinary show-down, alongside a Bartender Competition where mixologists will compete for the tastiest and most creative specialty cocktail after receiving a secret basket of ingredients. The reception will be followed by a private Opening Concert at the Sheridan Opera House. Full details including food and drink menus of the new kickoff event will be announced in the upcoming months. Enjoy an on-stage viewing area, close to the performers featuring a beautiful mountain backdrop offering the most intimate festival experience possible. Wine and Dine with the artists Backstage - Patrons can enjoy special backstage access featuring catered meals by chef Josh Klein, a complimentary bar, covered dining area and upscale, patron restrooms. Full details including food and drink menus of the new kickoff event will be announced in the upcoming months. Private Opening Concert - Kick off the festival with a private opening concert at the historic Sheridan Opera House on Thursday, August 8th. With a maximum capacity of 265 attendees, the historic Sheridan Opera House is the ideal venue for a truly warm and rustic welcome to the festival. Opening Reception - Open the festival on Thursday, August 8th alongside fellow Patrons, the Telluride Society for Jazz Board Members and festival staff with exclusive access to the “Top Chef and Taste of Telluride” event. Full details including the Menu will be announced in Spring 2019. Don't miss out, be one of the few to enjoy the unparalleled Telluride Jazz Festival Patron Experience. Early Bird Patron Experience Passes will be available in limited quantities Wednesday, December 12, 2018 at 10:00 am (MT) here.